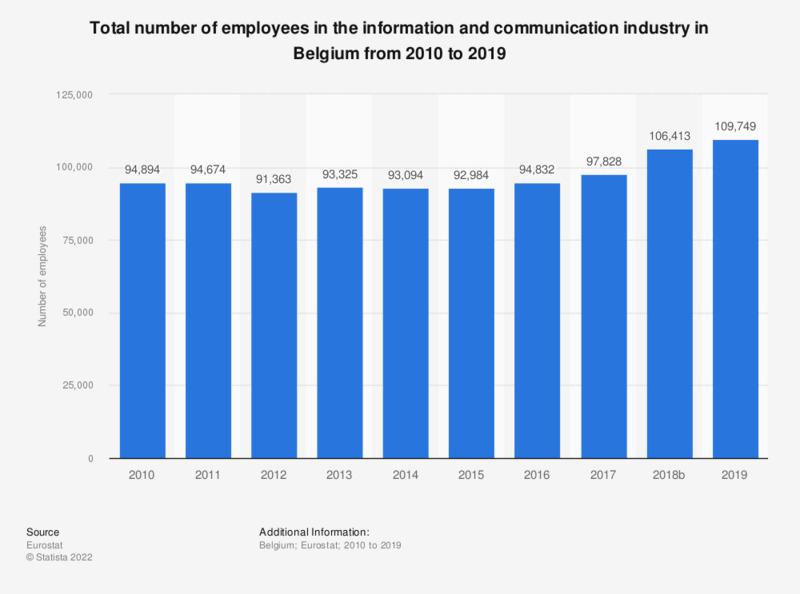 This statistic shows the total number of employees in the information and communication industry in Belgium from 2008 to 2016. In 2016, the information and communication industry employed a total number of 94,832 people. Data coverage corresponds to code J of NACE Rev 2.